Missionary kids are a different breed. Far be it from me, being merely the parent of a pair, to attempt a full description of these creatures. One thing I have observed, though, is that MKs sometimes have an unusual assortment of educational experiences. Our boys will be no exception. Until September of last year, Katherine taught Jonathan and Caleb at home, taking advantage of the educational freedom that the states of Texas and Missouri offered. In Texas, these two also had periodic “classes” with other homeschoolers that enriched their learning and provided them with a fantastic social network. And, for the record, some of Katherine’s highest qualities shine when she is lovingly and sacrificially teaching our boys. In Germany, however, we need to send our children to a school. 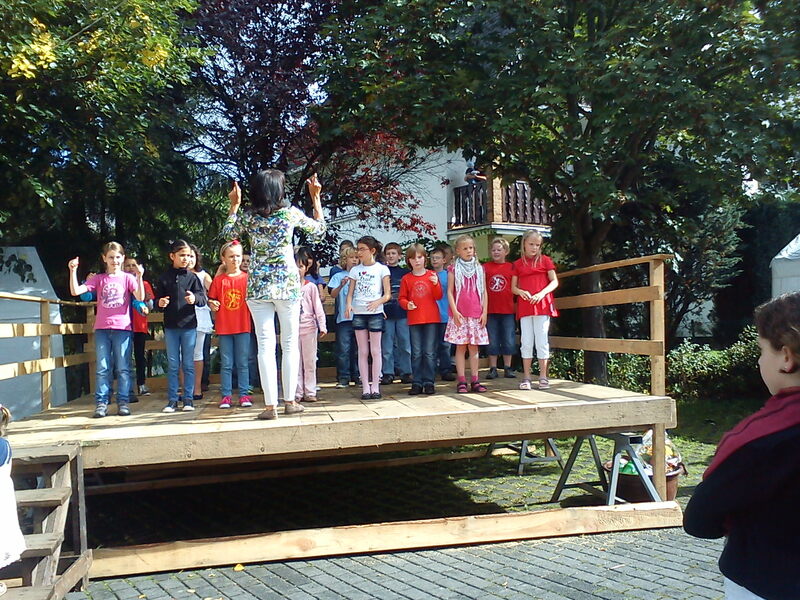 After reviewing the options for school and for my work, we decided to put them into the primary school in Niederdresselndorf, the village adjacent to the one where the Wycliffe office is. 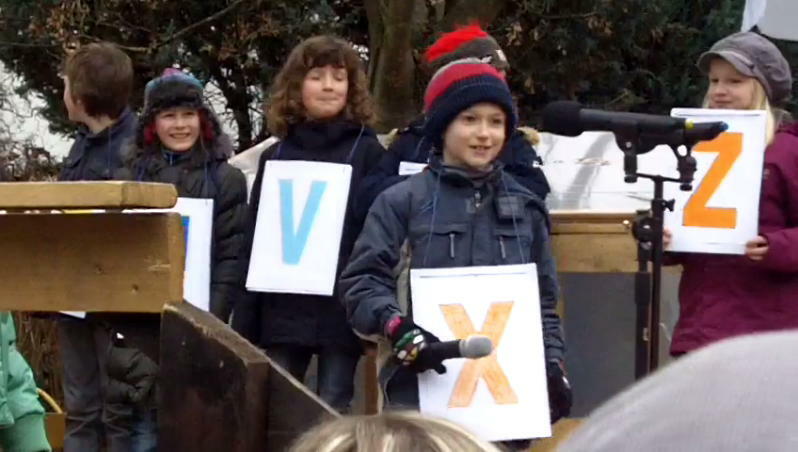 The Grundschule Dresselndorf is a mere 500 meters from where we live – a short walk. The school has a strong English program for both teachers and students, which we felt would reduce the possibilities for miscommunication and confusion. It took long enough for us to get here that we had to make another significant decision. Normally, Jonathan would have begun the fifth grade this school year. 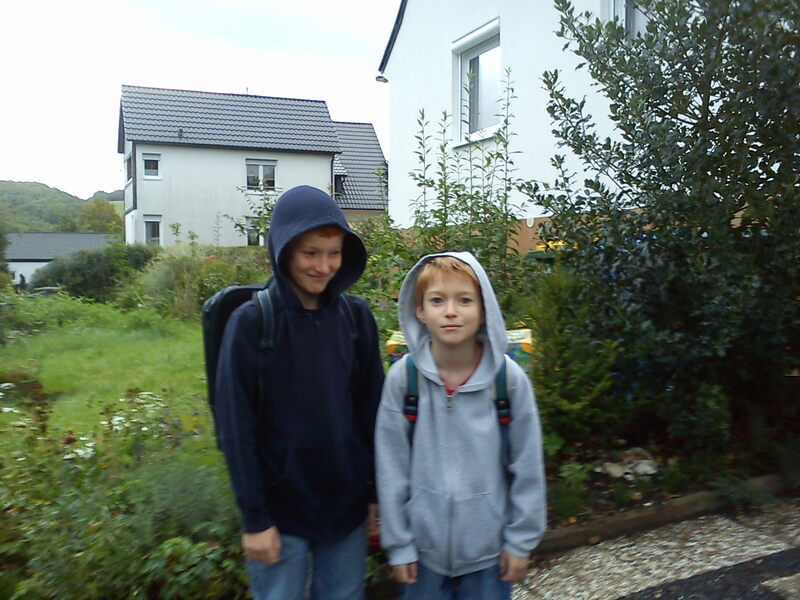 In fifth grade, German schoolchildren move from primary school to one of several different types of secondary school. That decision is made during the fourth grade with the consultation of each student’s teachers. The principal here felt that, while Jonathan was certainly bright enough to handle the academic content, his German was not yet good enough to enable him to understand all of the instruction or to interact well with his teachers and the other students. So we chose for him to begin here in the fourth grade and to have time to acquire the language. Caleb, on the other hand, started the year with his age-mates in the third grade. Jonathan sings with the school choir in the village festival. Overall, our boys have done very well in adjusting to the new school. The language ability came quickly, as it usually does in young children. We just have to be careful, sometimes, when they introduce words and phrases that they learned on the playground! (Their teachers have been very kind in their corrections.) Homework was something else they had to get used to – back when they were homeschooled, everything was homework! The best thing about school – at least according to Caleb – is the huge number of friends that they’ve made. We’re still getting used to them disappearing into the village after their schoolwork is done to go play. It was no surprise, though, when we heard from Jonathan that Caleb plays nothing but soccer during the breaks. That’s a sure way to make friends here! He now plays on the local team with several of his classmates. Jonathan, who is more of an acrobat, tends to dominate the monkey bars. He goes to the trampoline classes at the recreation center with one of his friends from school. Both boys received their first-ever report cards last week, and we were pleased with them. What a joy it is to not be burdened with concerns for their education and for their fitting in to a new environment! Caleb helps recite "The ABC's of Christmas"
As I write this, Katherine is out registering Jonathan at the secondary school that he would like to attend next year. It’s the type of school called Gymnasium – just try to think of it as an academic fitness center, and you’ll do fine. The Dietrich Bonhoeffer Gymnasium is located in Neunkirchen, about a 25-minute drive from Niederdresselndorf. The public bus system makes special school runs throughout the day, and that’s how he would get to whatever school he goes to. We are impressed with the program there, so it makes us happy to send him to the school where his other classmates attending Gymnasium are going. Well, I’ve boiled this down as much as I can. Those of you who are particularly curious should write to Katherine or give us a call on Skype. But, nosy or not, you can thank God with us for providing a good situation for Jonathan’s and Caleb’s little minds! God as Creator: Where does language fit in? On Wednesday, I spoke to our brothers and sisters at the First Presbyterian Church in Maryville, Missouri, at the first of their weekly soup suppers during Lent. Like many churches, they want to ensure that their focus is on Jesus as they contemplate the approach of Easter. Their theme this year is “God as Creator”. When first asked to speak, I knew that I could draw on the moments toward the beginning of the Bible where we see language playing an important role – since we just love talking about language. Please keep in mind that I haven’t developed the slides’ notes so fully that they include everything I might have said. However, all of the main thoughts are there. I hope that you find it interesting – and that it deepens your love and understanding of God. Sometime around Christmas, Katherine and I saw the trailer for the movie The King’s Speech. It looked interesting, especially since it starred Colin Firth, an actor we both enjoyed in Pride and Prejudice. A few weeks ago, Katherine saw the movie here in St. Joe with my aunt and cousins. She liked the film quite a lot. I like to watch movie trailers – they boil down films enough to fit into a short time span, give each viewer a strong sense of the content, and leave the interested viewer with a desire to know more. But it had been some time since I had seen the preview for The King’s Speech. Despite Katherine’s concern that she would spoil it for me, I asked her to describe the movie’s plot, characters, and developments. When she did, I understood the movie much better and realized that while the trailer was certainly accurate, there was much more to the film than what those short segments depicted. And since I haven’t experienced the movie for myself, even her own vivid description is fading in my mind. Until I see it, I’m missing out – and the film’s accolades and award nominations are lost on me. So what does that have to do with Bible translation? Until translation of the Bible happens for a language, the speakers of the language have experienced, at best, only the “trailer” for God’s Word. They’ve heard limited portions of the message. That may be because only the main points are available in their language, or because they heard it in a language that they don’t understand fully. For example, would you go see a movie if its trailer was visually interesting – but all the dialogue was in Hungarian? (Try this one – it might be familiar.) What if someone who understood Hungarian described it to you? Or offered to interpret all the lines for you at the theater? Would you be interested then? Would you expect to have a good experience? What if the content was important to your own safety? Anyone who has flown will recognize the fundamental messages in this video, but I doubt that you’d be able to tell me exactly what was said. The good news is that we’re not satisfied with that statement – right now, Wycliffe is working in more than 1,500 languages to get God’s Message out. And we’re not alone – the Church is cooperating more and more on that effort. There are a lot of names that roll by in the credits, in addition to the Producer, Director, and Star who makes it all possible. Katherine’s name and mine are in the credits, too, along with those of the people who pray for and support us. Where is your name among them all? One more thing – think about what happens to you when you are completely drawn in to a movie and it takes first place among your favorites. What has God’s Message done to you? And just one more thing. Really – I mean it this time. Guess who will be among the people I’m serving once we get to Europe? That’s right – Wycliffe Hungary.